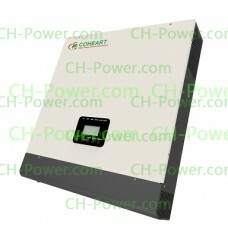 CoHeart COH Hybrid solar inverter Series are ultra-smart all-in-one on-grid grid tie solar inverters with MPPT Charger,AC Charger/UPS/battery management functions! No wonder they are the future! 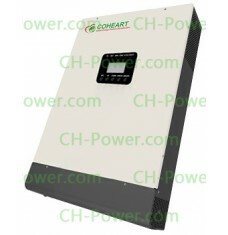 Certified by actual applications for commercial or residential solar PV plants, the inverters have been proved to be outstanding for its features like leading edge efficiency, high stability, compact appearance, friendly interface! 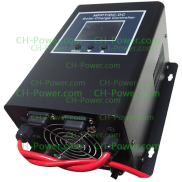 The Hybrid means the inverters have Grid tied (on-Grid, or Feeding to Grid) functions, standalone of..
Max input 145Vdc,120A dual-MPPT charger,optional Zero Export to Grid, parallel stackable, The Hybrid..
Max PV input 145Vdc,80A MPPT charger,optional Zero Export, stackable by parallel,The Hybrid means th..